Wealth manager Quilter has agreed a deal to buy national advice company and network Lighthouse for £46.2m. Quilter, which used to be part of Old Mutual Ltd as Old Mutual Wealth Management, is offering 33 pence per Lighthouse share. The deal will see Quilter and its advice arm Intrinsic grow to more than 3,900 financial advisers. Lighthouse provides financial advice to both corporate and retail customers, with over 400 financial advisers in the company. As the advice market consolidates the strategic acquisition of Lighthouse will help secure Quilter's position as the place to go for trusted financial advice in the UK"
Lighthouse's advice arm and network will merge with Intrinsic, a move expected to "significantly contribute" to Quilter's capacity of delivering advice. The deal is in line with Quilter's plans "to be the leading wealth manager across the UK, with face-to-face advice forming a core priority for the group", the financial services group said. Paul Feeney, chief executive at Quilter, said: "At Quilter, our focus is on delivering good client outcomes and that always starts with advice. "As the advice market consolidates the strategic acquisition of Lighthouse will help secure Quilter's position as the place to go for trusted financial advice in the UK." Malcolm Streatfield, chief executive of Lighthouse, added: "Lighthouse has a rich history, having been on AIM since 2000 and moving from its pre-RDR network roots to its position today as an affinity and professional relationship led, multi-channel financial advisory business. "We are proud of all Lighthouse has achieved and are excited to continue our journey with Quilter." Lighthouse is best known for its affinity services, which means it is the preferred provider of financial advice to 23 groups, including the likes of The Royal College of Nursing and British Airways Clubs, which have a total of six million members. Lighthouse made a £2.5m profit in 2018 from £53.5m group revenues, citing the "levelling out" of defined benefit transfers and a correction in UK and global financial markets as the reasons underlying the fall in group revenue. It also transferred its auto-enrolment business to Smart Pension back in January. The acquisition comes as investment management firm Quilter Cheviot has appointed a new executive director. Tom Lovell joins the firm from Rathbones where he was an investment director. Commenting on his appointment, he said: "I am very pleased to have joined Quilter Cheviot and am thrilled to be working for a firm that is renowned for bespoke investment management." 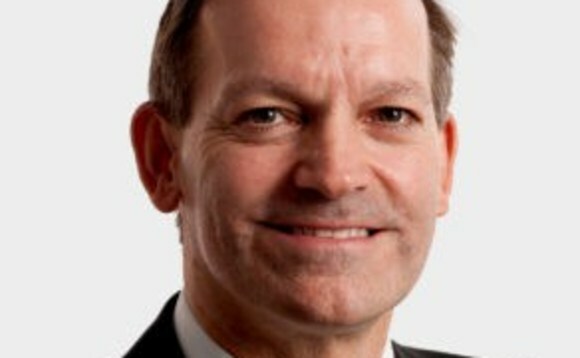 In his new role, he will report to Tim Childe, Head of Quilter Cheviot's Jersey Office and International. Mr Childe commented: "We are delighted to welcome Tom to Quilter Cheviot; he brings with him vast experience and real enthusiasm for the financial services industry. I have no doubt that his knowledge and expertise will further strengthen our team here in Jersey and enable us to continue to deliver an excellent service to our clients both locally and internationally." His appointment comes after Quilter Cheviot relocated to Windward House last year to accommodate its growing team.